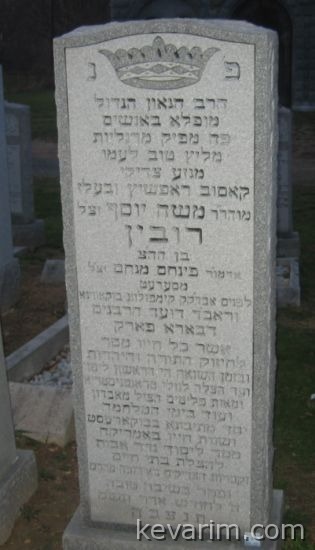 Rav Rubin served as the President and Chairman of the Agudas Israel and Agudath HaRabonim of Romania. The Rav also founded Geder Avos an organization dedicated to stop the destruction of Jewish cemeteries throughout Eastern Europe. His son Reb Dr. Shmuel Shmelke ZT”L was just niftar this week. Family sitting shiva in Lawrene, NY.